Today is Veterans Day here in the U.S.
A friend of mine — painter, comics artist and animation artist Mike Manley — has this wonderful study by the great American illustrator Dean Cornwell hanging in his house. 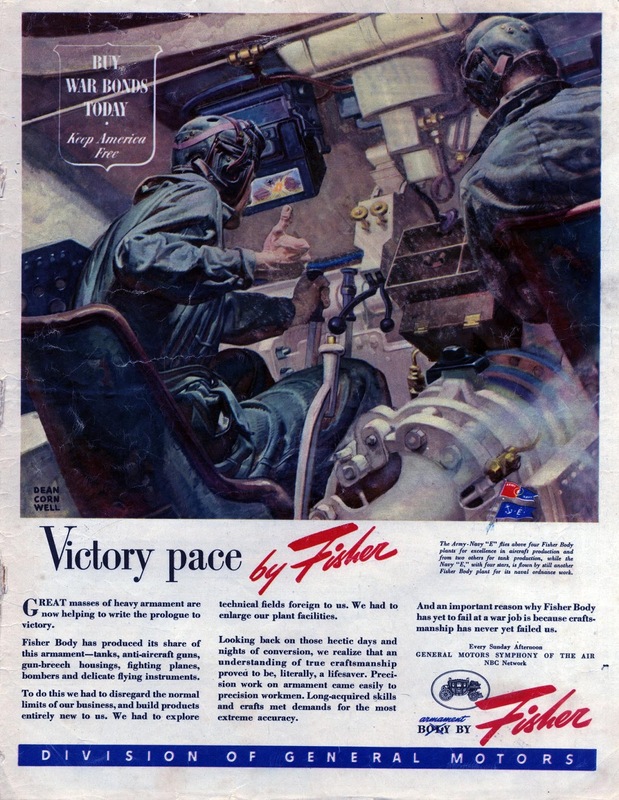 The final was an illustration for the Fisher automotive division of General Motors, urging the public to buy war bonds during WWII, and of course, extolling the virtues of their manufacturing prowess. In the final, the tank corps soldiers are show closing in on their target. In the study, Cornwell has focused in on one figure. The rendering is wonderfully painterly and remarkably finished for a study. Manley has kindly shared images of the piece with us on his blog, along with a preliminary drawing that shows the final composition for the finished piece. There is a large version of that here. James Gurney has a piece today on the same illustration on his blog Gurney Journey. Link: Dean Cornwell study on Mike Manley's Draw!